On online payment we have received the fake call from the no which we have already allotted you and when we are paying online payment to shopclue and homeshop on that time only this type of call comes for asking the atm card details and before also many call comes but it has been missup with the courier boy phone no and if my account is hack then you are responsible for it as we have already given the phone no to you. and the fake no is no is 8294854550, from this no I got a call before 2 days back, one more thing is the product which I am purchasing how could they come to know of it that means any one of the website service holder is doing leak of our bank details and it has done more than many times, and this type of query you should gather from the website, so when you are not able to takel the situation then why forcing us to do the online payment, after note bandhi many things happen and you only take the complaints and nothing action taken on it this I would not torelate and they took more than a month to refund our money back. 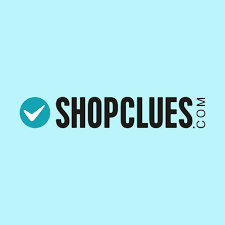 As on policy of refund the money some website has 7 days and some has 3 days but this shopclue is taking more than a month and as you are not taking any action on them they does the as much late they do and use our money in there business they also write in there email also that they will refund the money in 7 days. This is chittfund nothing else, and you support this type of chittfund website and as much upper level I have to go I will go and if the hungama to be done then also I will do and also in the terrorism I can go.